I think the most I fuss about teeth whitening is by purchasing teeth whitening toothpaste which are more miss than hits unfortunately. I don't see much progress but it never deteres me from continuously purchasing them. 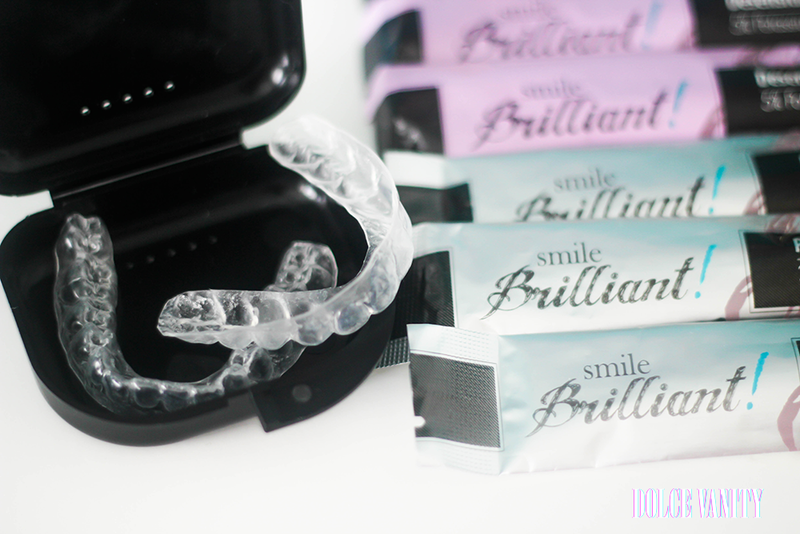 When I was contacted by Smile Brilliant, I thought why not, I was just talking about teeth whitening so it was such a coincidence - almost fate. I was sent their Teeth Whitening Trays pack. I followed the instructions card included in the pack on how to do the impressions. Using my phone as a stopwatch I inserted one tray at a time for 2 minutes and that's what I was left with above. Ready to send off and get my trays made by the lab. These were returned to me from the states pretty fast, I think just over a week? Firstly I cleaned my trays and left them to dry and the next day decided to whiten my teeth. I brushed and flossed & I used the desensitizing gel as I do suffer from sensitive teeth, this was left on for 20 minutes and done 60 minutes before the teeth whitening. I put too much whitening on and it made the gums very uncomfortable as it overlapped and kind of burned, so 20 minutes was the minimum time I used it for. Trays fit PERFECTLY. There was no slip, capped my teeth to a T. I was chuffed as I thought I'd botched those impressions kudos to me haha! I believe it was the 3rd treatment I ditched the desensitizing gel, I found my teeth weren't so sensitive to the whitening but I'm glad it's included in the pack because you just never know how your teeth may react. I've used this for about two months now and I might use it twice a week and my saliva filled mouth has got use to the trays and I can handle to use it for roughly 2 hours. (it can be used from 20 minutes - 3 hours max) I started to noticed the stains on my teeth started to lift and my teeth get brighter, I sin when it comes to things that can stain. Here's my frustration. I took before photos and now I can't find them on my SD card / external hard-drive or on my laptop, even went as far as to do a recovery but no luck which is annoying me cos I like to do before and afters to show the results of a product as you know - if I find it I will update but in the after photo you might be able to see the fading stains in between my teeth faintly. The only negative I have is that it's not readily available in the UK. I'd love to be able to just pop into Boots - It's a con for me as I'd love it to be easier to get more gel as it's a treatment I'd like to continue. Though they do ship worldwide. For 9 syringes it's around $60 which is around £36.48 so it's not too bad. I'm currently on my last syringe now but 100% happy with the results. I better find me a toothpaste that can keep the stains away. Great review! 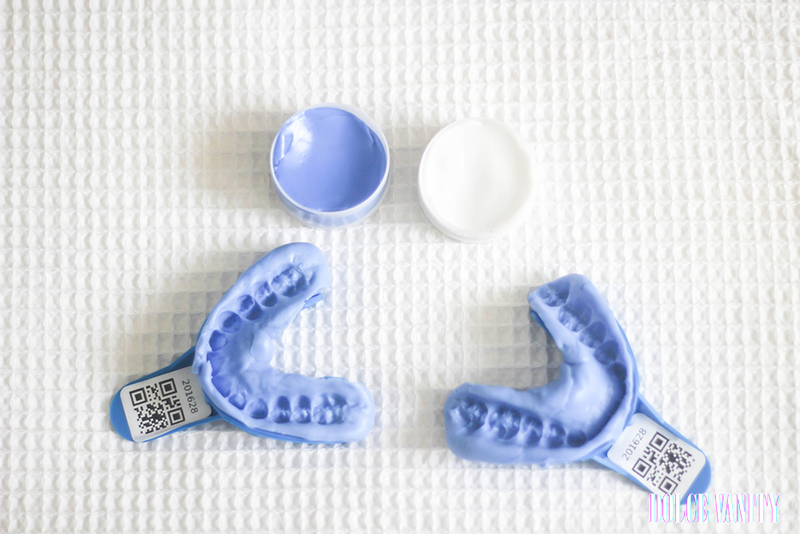 I have been looking for a teeth whitening system!